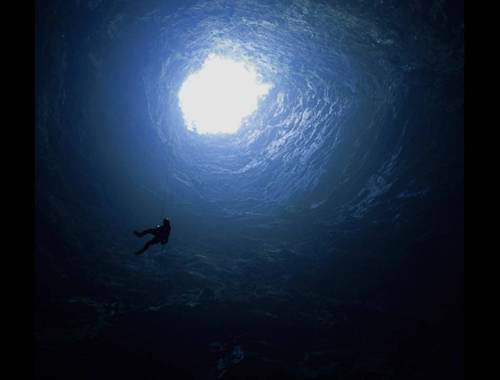 KRUBERA Cave (Cave VORONYA or sometimes spelled VORONJA CAVE) is the world's deepest cave. 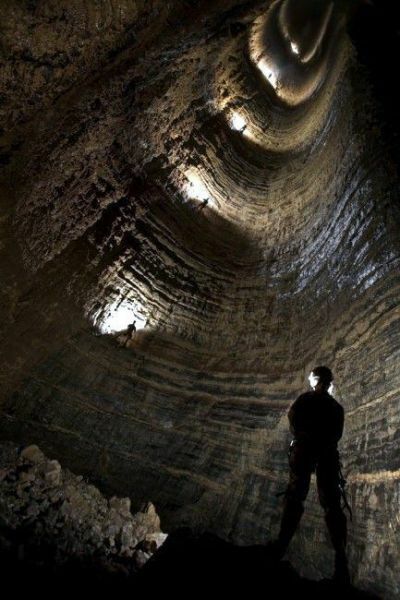 This cave is located near Range Gagrinsky Arabica Massif in the Western Caucasus, precisely in Gagra district of Abkhazia, Georgia. 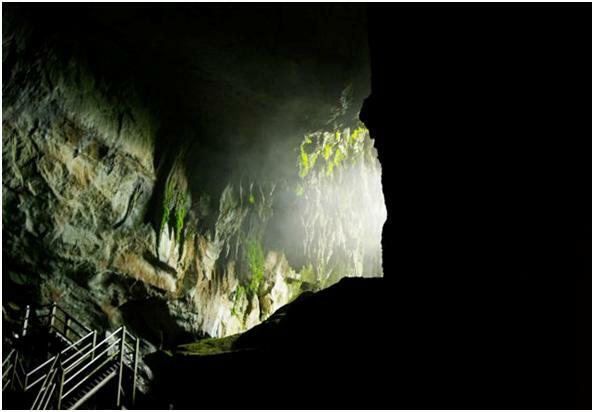 The difference in height entrance of the cave and the deepest point according to the results of exploration is the 2191 ± 20 m (7188 ± 66 ft). This cave is known as the world's deepest cave in 2001 when "The Expedition Of The Ukrainian Speleological Association" managed to reach a depth of 1710 m (5610 ft) which exceeds the depth of the deepest caves before, Lamprechtsofen Cave, Austrian Alps, with a difference 80 m. And In 2004, for the first time in the history of science Cave-Cave, Ukrainian Speleological Association expedition succeeded in reaching depths of more than 2,000 m, and for the first time explore the cave to -2080 m (-6824 ft). 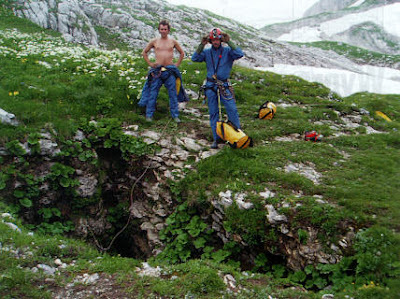 Current maximum depth is 2191 m and was achieved during the dive about 46 minutes by Gennadiiy Samokhin to the terminal sump in the Ukrainian Speleological Association expedition period August-September 2007. This cave is the only cave that are recognized in the world that have a depth of more than 2000meter. you touch my car and im calling 411 pain.